This week at Microsoft's Worldwide Partner Conference, Kevin Turner, Microsoft's COO, announced during his keynote that the company hopes to sell up to 100 million Windows Phone devices annually. "We have dreams and aspirations that we can get to 100 million units per year with that single deal," he said. The software giant plans to mainly lean on Nokia, which agreed to switch to Windows Phone as its primary platform. Nokia's first Windows phone is codenamed Sea Ray. At the conference, Microsoft also showed off four unannounced Windows phones from Acer, ZTE, Fujitsu, and Samsung. Windows Phone users should keep their eyes peeled for Windows Phone 7.5 (codenamed Mango), which is expected to begin rolling out this fall. Check out our preview of the update from last month. There is talk that Microsoft is already working on the next Windows Phone updates, codenamed Tango and Apollo. 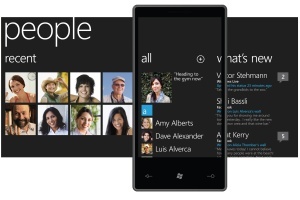 Last year, we heard of that the second major update to Windows Phone will be Apollo, due toward the end of 2012. At some point Microsoft will have to release Windows Phone 8. One of these updates could indeed be Windows Phone 8, or an update to Windows Phone 8. It's generally accepted that Windows Phone is not selling well. AT&T Mobility CEO believes things will start to pick up with codename Mango and as the Windows Phone Marketplace gains more apps. Nokia CEO Stephen Elop meanwhile argues that Windows Phone scores better than Android and iPhone with consumers, but OEMs are doing their best work for Android. He believes that once Nokia starts doing its best work for Windows Phone, the platform will take off.